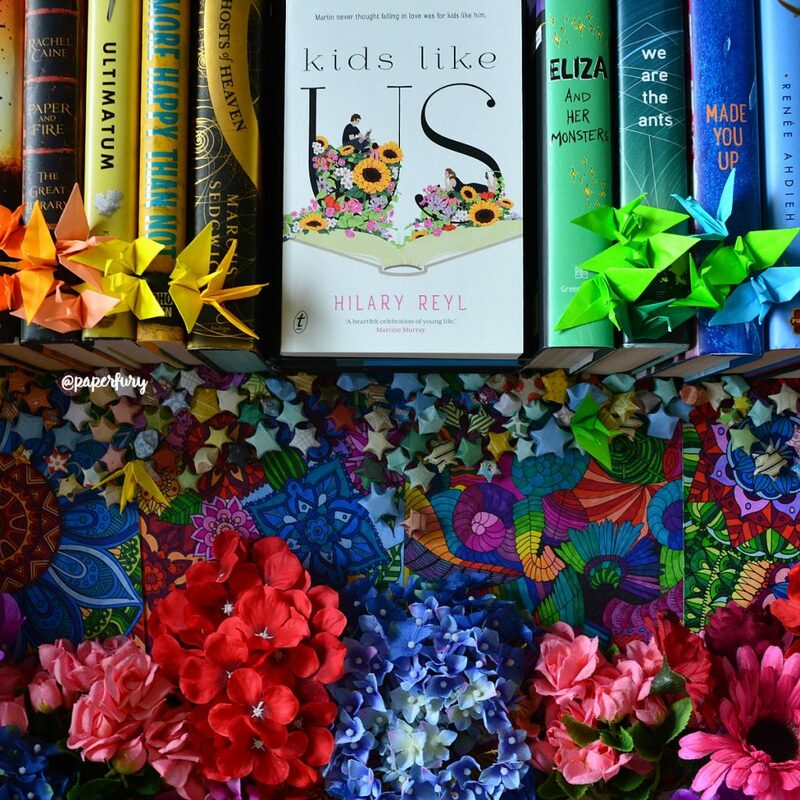 If you are looking for a story that is delicious and beautiful — Kids Like Us is here for you. 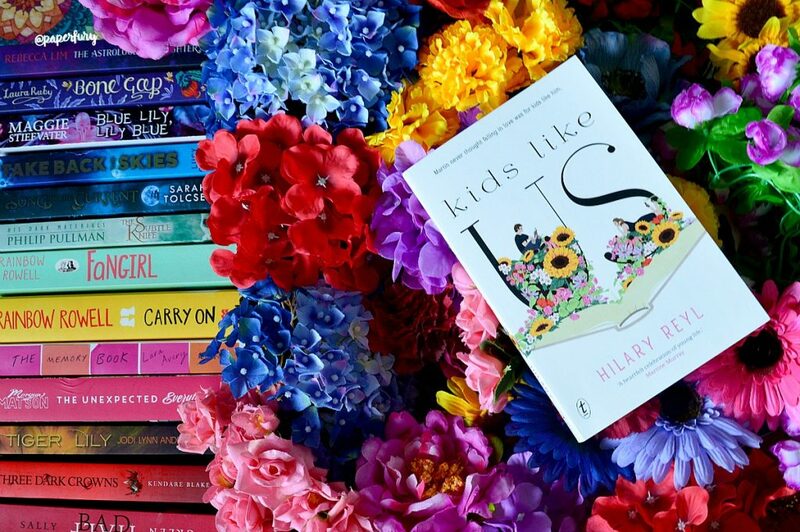 It had such an epic combination of things to love: it’s set in France, there is so much food, there’s a boy who’s obsessed with a book (#relatable) and it features a beautifully accurate representation of autism! As I mentioned recently, I’m on the autism spectrum too and finding books that represent it well is heckin’ hard. SO PLEASED THIS BOOK EXISTS. Also I want to sit in a flower too. These are my life goals. + It’s set in FRANCE. And that is very very pleasing. I have a completely irrational love of France (no, I’ve never been, but it’s always been somewhere I’m slightly obsessed with). It is a place of croissants and magic. I have done the research. I really loved how authentic the setting was! It actually talked about language differences and French abbreviations and the difference between learning France and actually SPEAKING it with locals. Details made the whole A+ immediately. + DID WE TALK ABOUT THE COVER. I would like it on my wall or as a hat. + I absolutely adored Martin. He’s adorable and winning and extremely thoughtful and intelligent. I loved that he was into cooking! Like he enjoyed preparing complex meals and also just staring at bakery windows to see the beautiful cakes. Where might I sign up to be friends with Martin forever. He’s also super in love with this old French book. Books are 98% of my life (I save room for snacks see) so he was automatically relatable and winning and super sweet! Hahaha. No. Martin gets obsessed with a girl he thinks is out of his book: but obviously she’s not. I loved his journey of discovery and accidental hypocrisy of wishing her to be someone she’s not (aka a girl from a book) when he hates that people do that to him (wishing away his autism). It was so well done and woven into the story. But I honestly didn’t think romance was a like the main focus of the story. And I didn’t like Gilberte. We didn’t get to know her enough, so she felt shallow. + And a moment to talk about the autism representation?!? I honestly LOVED how Martin was written. He isn’t a stereotype!! Can we like take a moment to appreciate that?!? I LOVE THIS MOMENT. This is so freaking refreshing. See, stereotypes are hard because yes — people always fit them. That’s how they exist in the first place. But the problem with stereotypes is that media will just latch onto one or two things and erase SO MUCH of what it is to be an individual on the spectrum and turn you instead into a caricature. Kids Like us skipped the caricatures and developed a boy who is complex and interesting and autistic. • Martin does a lot of echolalia — meaning he repeats back what he’s heard instead of saying his OWN words. I loved how they unpacked this topic, with Martin struggling with the idea that he isn’t original. But like…nobody is original?? All words and phrases have been said. And while he repeats things a lot, his THOUGHTS are original. • He mixes up his pronouns! I loved seeing this on page because it’s an overlooked part of ASD! It obviously doesn’t fit everyone on the spectrum (no symptom does!) but it’s nice to finally see it on page! My autistic nephew struggled with this and while I personally didn’t, I did grow up quoting movies as expression like Martin quotes his book. • Martin stims with voice tics and music. So pleased to see these! • His anxiety was represented SO SO WELL. Just A+ mate, you’re doing marvellously. • He also diverged from a few other ASD stereotypes. Aka, he loved lots of different food and he’s good at sports/swimming and he detects sarcasm even if he doesn’t like it. + I did wish it’d been more conclusive about its discussions on how others see autism. The people around Martin where depressingly awful at times. Not intentionally?? But it still happened. His mother is definitely after a “cure” although she’s not meaning to be awful. Which is heartbreaking. I did like how it talked about balancing living in your “autistic world” to “popping the bubble” and joining society — but I don’t know that it had entirely good conclusions. It said you need both, which you DO, but you don’t need to be ashamed of either which I don’t feel it said. And they did start talking about “cure culture” (WHICH IS A NO) but the discussion was so painful and honestly anxiety inducing for me (AND MARTIN) but it didn’t get shut down properly. Martin disagreed but very feebly. Which is realistic, OK, that’s terrifying to be told you’re broken. But, as a book that would really really encouraging teenage autistics, I would’ve liked to see some more definite NOs underlined. The book was onboard with the no, but…a little clearer, thanks? + And my only downside to the storytelling is how Martin keeps quoting his old French book. IT WAS SUPER BORING. Haha, excuse me. My eyes just glazed over those bits because what the heck was he talking about. Not having read the book myself, I felt confused. + BUT THERE’S SO MUCH FOOD and now I want rhubarb jam and croissants. Honestly books that bother to tell us how delicious the food they’re eating is, are perfect members of society and need to be put on shelves of glory. I am so here for foodie fiction. I am free. This is what Layla and her activists are trying to tell me. This “locked” personality of mine is the creation of all the people who watch me from the outside. Inside, I’m not locked at all. 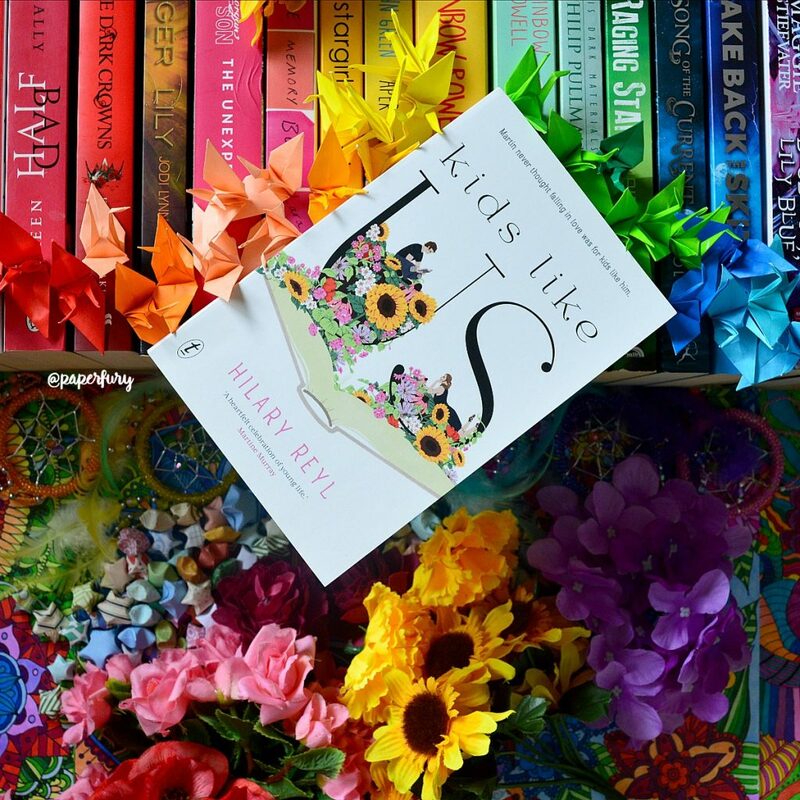 Kids Like Us was a really perfectly beautiful story! I loved the writing and the sparse but well placed details. I thought this was a thoroughly accurate and interesting exploration of the autistic mind and feelings and experiences. I didn’t always agree with their conclusions and I hated how people often (although not always!) treated Martin…but that’s the point. Books are about uncomfortable and real things. For such a smol book, it gave me a lot to think about and I quite approve. Thank you to Text Publishing for the review-copy! 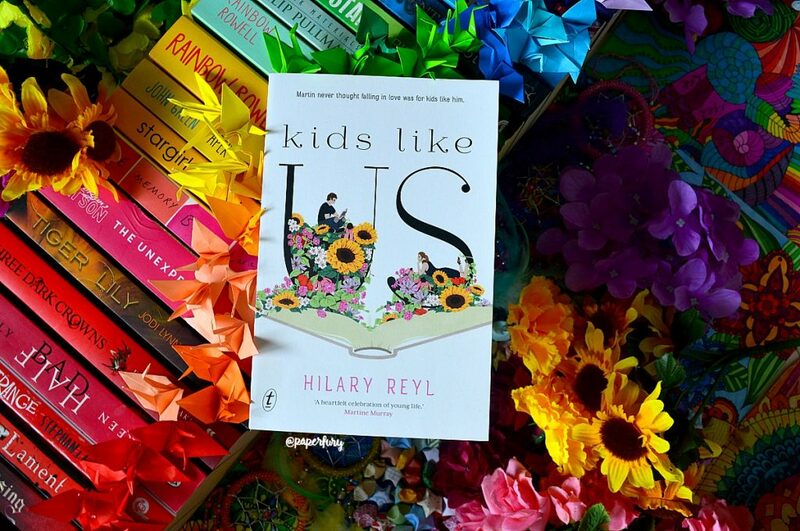 Kids Like Us by Hilary Reyl is published 30th of October, 2017! 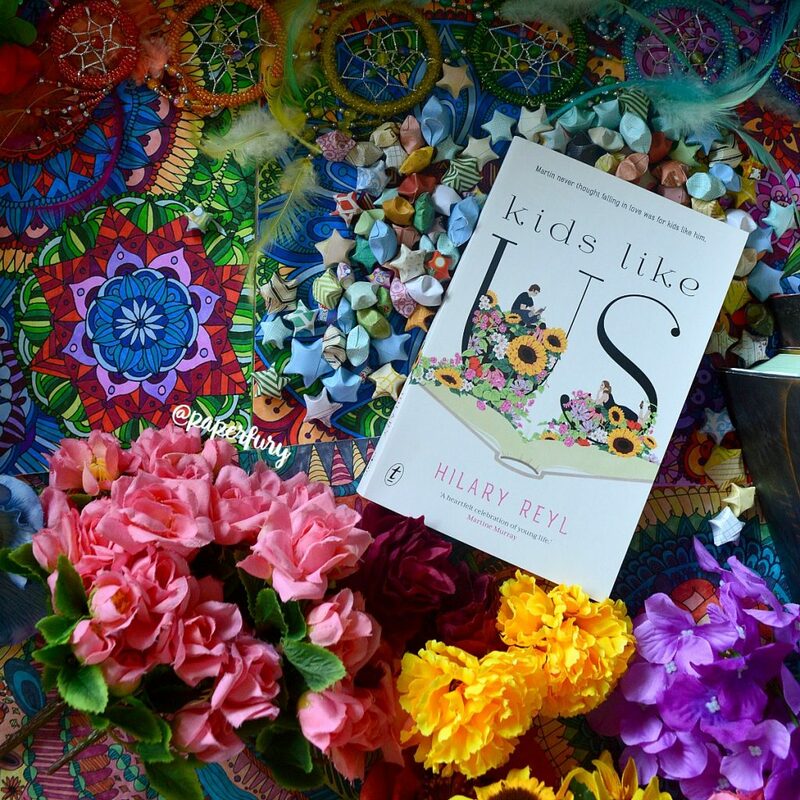 Offering a valuable window into the mind of a high-functioning autistic kid, Kids Like Us is also the ultimate book about acceptance. Perhaps we are all in our own bubble; perhaps the line between reality and imagination does not have to be fixed. 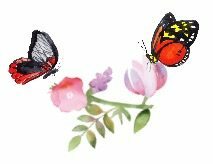 We meet Martin’s adorable older sister, Elisabeth, his friend Layla and her very useful ‘moth’ theory. And there’s lots of great cooking. The prose is sharp, original and brimming with empathy and humour. okay tell me about a book that made you SO VERY HUNGRY?? and would you ever like to go to France? (or have you been? or live their now?…please adopt me) and is Kids Like Us on your TBR because it should be! !